Stewart Friesen has found a way to rise up to a level that others rarely can at Super DIRT Week. 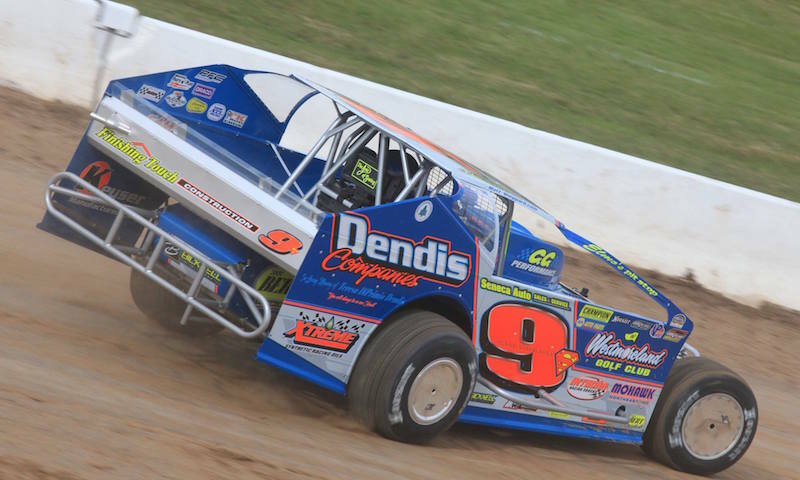 Not even a change in venue to the Oswego Speedway could stop the driver from Sprakers, N.Y., as he would go on to win the Bud Light 200 for the fifth time in his career. 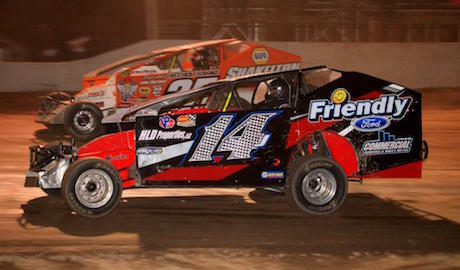 Click for live updates from NAPA Auto Parts Super DIRT Week XLV at Oswego Speedway! 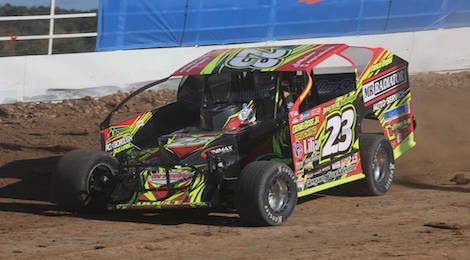 It’s been a hectic week for Joey Ladouceur at NAPA Auto Parts Super DIRT Week. 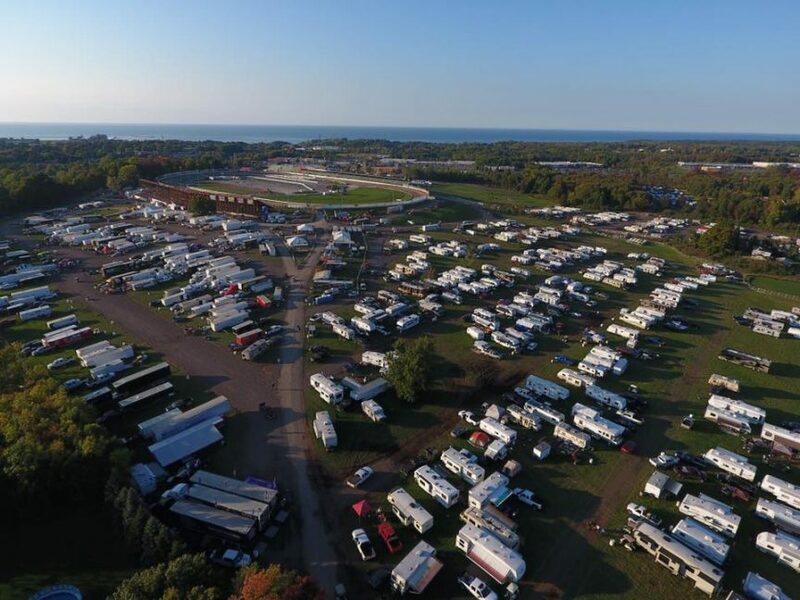 While running at Oswego has been the focus, an attempt at some of the satellite shows has also been on their DIRT Week schedule. 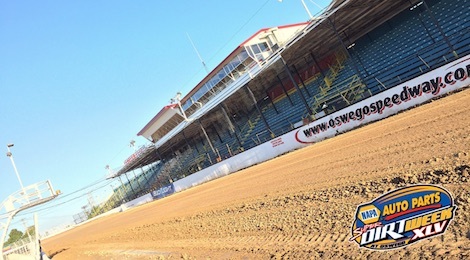 Due to excessive rain and wet grounds, Saturday’s NAPA Auto Parts Super DIRT Week schedule will move in its entirety to Sunday, creating a blockbuster day of racing action, including four feature events. 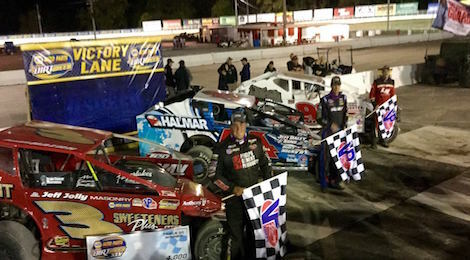 Camping World Friday Night Lights kicked off on-track qualifying for Sunday’s Bud Light 300, with Danny Varin, Stewart Friesen and Justin Haers etching their names in the record books as winners of the Bud Light Triple 30s. 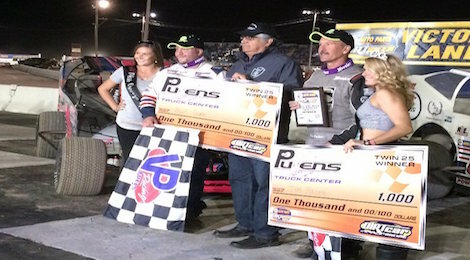 After time trials were complete on Thursday, the talk of the 358-Modified pit area at Oswego Speedway was the dominance of the W-16 engine package that both Tim Fuller and Billy Dunn utilized to sweep the front row for Saturday’s Riccelli-Northern 150. 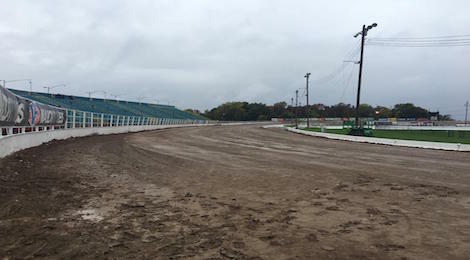 Racing activity was stopped on the first lap of the second DIRTcar Sportsman Futures event due to dust and poor visibility. 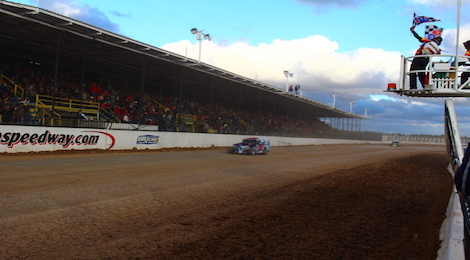 Super DIRT Week officials were fighting with sun and very few clouds, along with a strong breeze most of the day, which wreaks havoc on a dirt track surface. 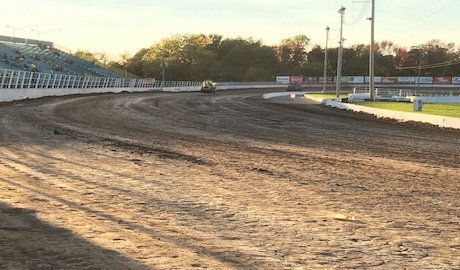 Click for LIVE updates from Friday’s action at NAPA Auto Parts Super DIRT Week, including Super DIRTcar Series, 358-Modified and DIRTcar Sportsman qualifying from Camping World Friday Night Lights! 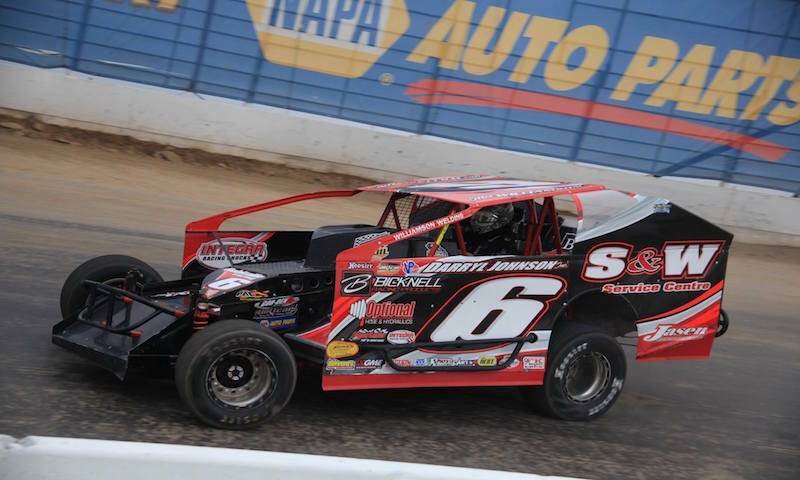 Looking back several years ago, Alan Johnson was a driver that appeared to be heading into the final chapter of what has been a storied career on the dirt.